Too many people planning fall trips are afraid to dream big. Why just take a one afternoon drive through a nearby forest when you can experience the glory of an entire coast? While you will need a passport to do this, driving from Washington up to Alaska is the perfect way to see a part of America that many people never do while also experiencing a taste of Canadian culture. 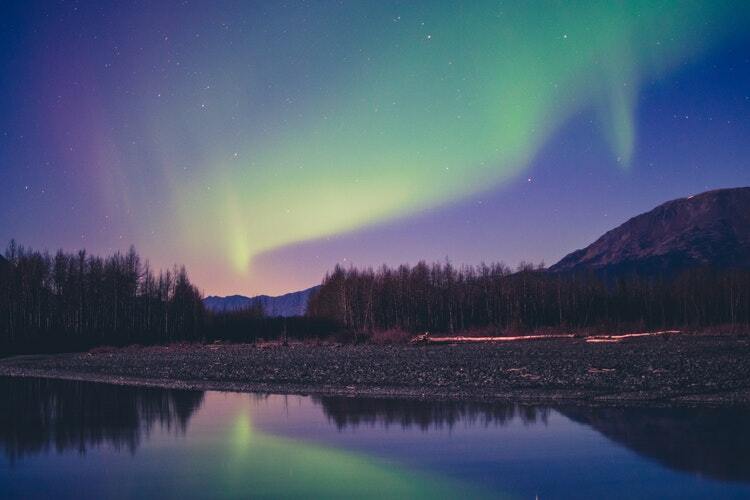 With so much beauty and so many interesting places to stop, the trip will be almost as fantastic as your end destination in Anchorage, Alaska. Plan to take anywhere from 4 to 7 days for the drive, depending on your vehicle, how many breaks you want to take each day and your actual starting point. It’s going to be more than 40 total hours of driving. That means you will need to budget for food, gas, and lodging along the way for up to a week before you eventually arrive in Alaska. There will also be the expense of the return trip, unless you arrange for a one-way car rental. The exciting thing is that you can take it completely different route back down to the continental United States after your time in Alaska is done. Traveling earlier in the fall ensures that you won’t miss the best colors, which tend to hit up north earlier than they do south of the Canada border. Because you have to drive through Canada to get to Alaska, you will need a passport, but that extra step is more than worthwhile. Depending on the road that you take, you could enjoy visiting large coastal cities, or traveling through smaller towns on your way through British Columbia. Still, you need to send in your passport applications roughly two months before you intend to travel, as there is typically a four to six week processing time. Make sure you have insurance on your vehicle and that you share your planned route with someone staying home. Update people via phone calls or social media so that people know your trip is progressing safely. Taking these extra steps can help reduce the risk of safety problems or issues that could detract from your experience while driving to Alaska and enjoying the fall colors.